Torpedoed by U-331 on 25.11.1941 coast of Sidi Barrani, Egypt. Exploded with massive force. 841 were killed out of a crew of 1,184. Fired 337 15" and 25 6" shells during Jutland Received 5 12" and 1 11" enemy hits. 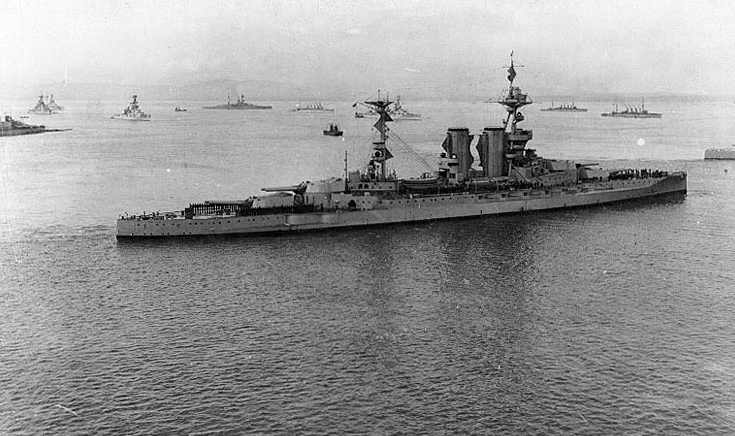 Between HMS Valiant and HMS Barham, they made 23-24 hits on enemy ships, a phenomenal record. Max speed in the Run South was 24.5 knots.